Prominent & Leading Manufacturer from Ahmedabad, we offer filter for concrete pump, batching plant, transit mixture, batching plant bottom tiles, batching plant double horn shovels, batching plant mixing arms, batching plant oem sensor and batching plant pneumatic cylinders. By keeping track with market developments, we are involved in offering the finest quality array of Batching Plant Filter. The offered product is inspected on various quality provisions in order to supply a defect free range. 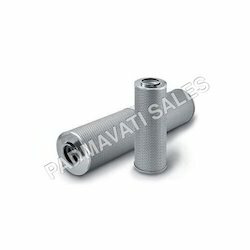 This product is expertly manufactured from the best quality material and advance technology keeping in pace with industrial norms. Furthermore, our product is obtainable in numerous sizes as per the needs of customers. 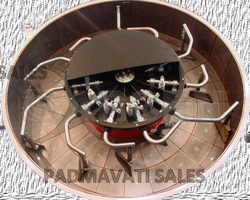 We are the leading organization to offer a supreme quality gamut of Batching Plant Bottom Tiles. Our offered proximity switch is manufactured utilizing finest quality of material & leading techniques as per with the set industry standards. The offered proximity switch is extensively used for connecting switches in variegated building in a sound and safe manner. 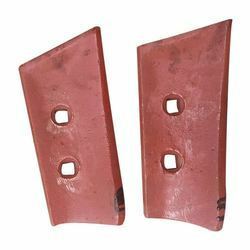 We are renowned manufacturer & supplier of a huge gamut of Batching Plant Double Horn Shovels. We are the leading organization to offer a supreme quality gamut of Batching Plant Mixing Arms. 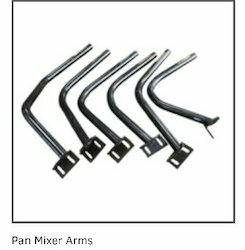 Our offered Batching Plant Mixing Arms switch is manufactured utilizing finest quality of material & leading techniques as per with the set industry standards. The offered Batching Plant Mixing Arms switch is extensively used for connecting switches in variegated building in a sound and safe manner. We offer this Batching Plant Mixing Arms at nominal rates in a given time frame. Backed by our flourishing business processes, we are able to offer a flawless quality range of Batching Plant OEM Sensor. Our Batching Plant Sensor sis quality tested on various parameters by our experts in order to supply a flawless range. Provided Batching Plant Sensor is valued in the industry for its dimensional accuracy, sturdy construction and corrosion resistance. 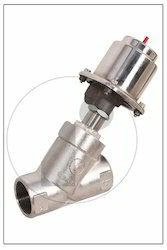 This Batching Plant Sensor is specifically manufactured from the high quality material as per the set market standards. Backed by our flourishing business processes, we are able to offer a flawless quality range of Batching Plant Pneumatic Cylinders. 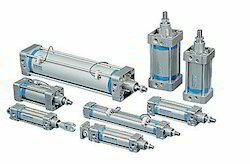 Our Batching Plant Pneumatic Cylinders s quality tested on various parameters by our experts in order to supply a flawless range. Provided Batching Plant Pneumatic Cylinders is valued in the industry for its dimensional accuracy, sturdy construction and corrosion resistance. This Batching Plant Pneumatic Cylinders is specifically manufactured from the high quality material as per the set market standards. Backed by our flourishing business processes, we are able to offer a flawless quality range of Batching Plant Water Admixture Valves. Our Batching Plant Water Admixture Valves is quality tested on various parameters by our experts in order to supply a flawless range. Provided Batching Plant Water Admixture Valves is valued in the industry for its dimensional accuracy, sturdy construction and corrosion resistance. This Batching Plant Water Admixture Valves is specifically manufactured from the high quality material as per the set market standards. Backed by our flourishing business processes, we are able to offer a flawless quality range of Cement Screw Conveyor. Our Cement Screw Conveyor sis quality tested on various parameters by our experts in order to supply a flawless range. Provided Cement Screw Conveyor is valued in the industry for its dimensional accuracy, sturdy construction and corrosion resistance. This Cement Screw Conveyors specifically manufactured from the high quality material as per the set market standards. 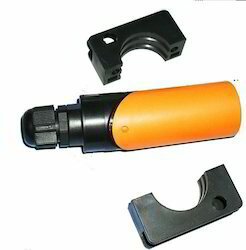 We are offering Pneumatic Fitting.